I am going to assume that everyone knows about Ben and Jerry's wonderful Chubby Hubby ice cream. I know what they say about assuming, but seriously... if you haven't tried this stuff you haven't lived. 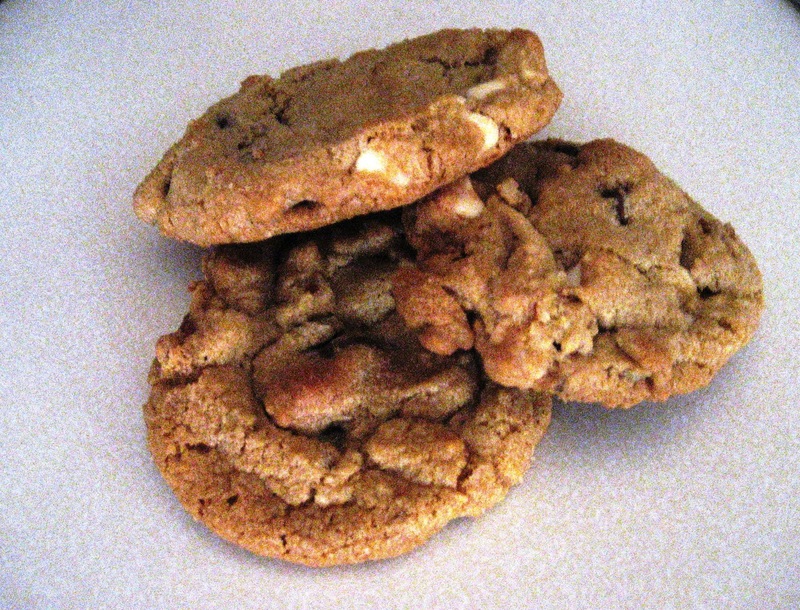 It is the best and that is where the inspiration for these cookies originally came from. In my world, the only thing better than a sweet treat is a salty snack. You put together both and magic happens. Yes, MAGIC! You might be thinking, "salty and sweet in a cookie?" Don't question it... just do it! That being said, this cookie beautifully exemplifies the best of both worlds. The pretzels add that salty crunchy texture while the chocolate chips balance the sweetness and make for a wonderful treat. The pretzels don't get mushy... if that's what you're thinking. Don't question the ingredients... just whip them together and question later! In the bowl of a stand mixer attached with the paddle attachment, beat butter and sugars until fluffy. Beat in egg and vanilla. Sift flour and baking soda together. Beat into batter on low speed. Stir in peanut butter and mix until incorporated. Next, stir in chocolate chips, peanut butter chips and crushed pretzels. Drop by rounded tablespoons (or use a small scoop) onto prepared cookie sheets. Bake 11 to 13 minutes until golden on the bottom and just set in the middle. Cool on wire racks. While in the middle of making these Todd walked up to me and asked me if I would stop putting his jeans in the dryer because he noticed they have been shrinking. It struck me as ironic being that I was baking "Chubby Hubby" cookies. Todd is no-where near chubby, but inside it made me giggle a bit. I didn't have the heart to tell him that I never put his jeans in the dryer...so I just smiled and re-reassuringly told him I would.